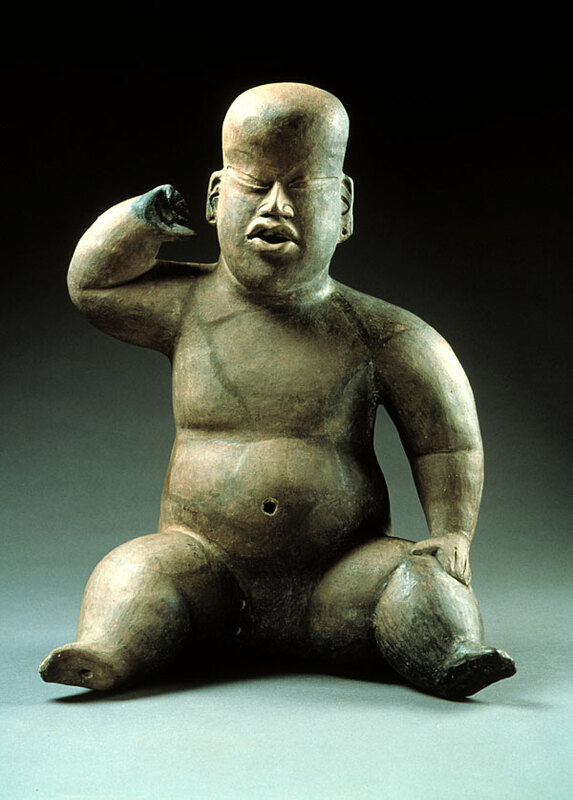 Of undeniable Olmec inspiration, the chubbiness and baby-like poses (sitting up, crawling, etc.) of this kind of figurine (widely extended in the Pre-Classic period) has earned them the generic nickname "baby faces". This is a beautiful example from the early settlement of Tlapacoya, in the Northern region of the Valley of Mexico. National Museum of Anthropology, Mexico.